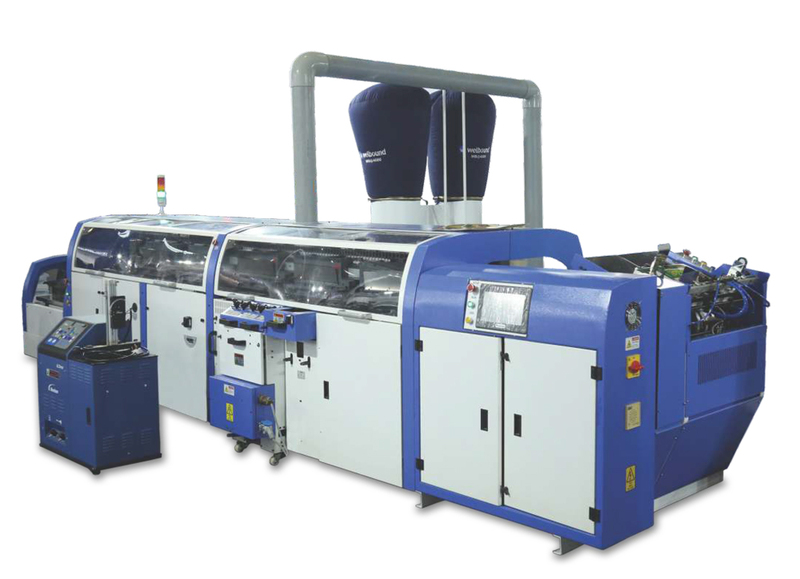 Within three months since the installation, the new binders have delivered more than 10-lakh books each Ganesh Printers, a Kolhapur-based commercial printer, which specialises in textbook printing, has installed four WB@2500 six-clamp perfect binding machines manufactured by Welbound Wolrdwide P Ltd in Bengaluru. The four new binders, which were commissioned in December 2018, have added to a battery of five six-clamp Welbound perfect binding kits and a Muller Martini inline perfect binding equipment on Ganesh Printers’ shopfloor. With the new investment, the company can now manufacture 2-lakh books per day up from its earlier capacity of 1.2-lakh books per day. “The idea is to accelerate time-to-market without compromising on book quality – that’s our USP. And therefore, investing in Welbound machines ahead of the textbook season made a lot of sense” said Sanjay Thorwat, director at Ganesh Printers. Shakti Nadar, area sales manager for Maharashtra, Impel Welbound said, “Ganesh Printers has scaled up its capacities and we have always supported their requirements to market - be it quality or speed. This was made possible by the supply of our new generation EPIC perfect binders, cool bind adhesives from Henkel and our prompt service support.” The company, which was established by Thorwat’s father MG Thorwat in 1987, started operations with a treadle press. Today, it houses two four-colour Heidelberg sheetfed offset presses and six web offset printing machines. These are supported by two CTP devices, two folders from Stahl and Shoei, two Welbound three-knife trimmers and 10 perfect binding machines. 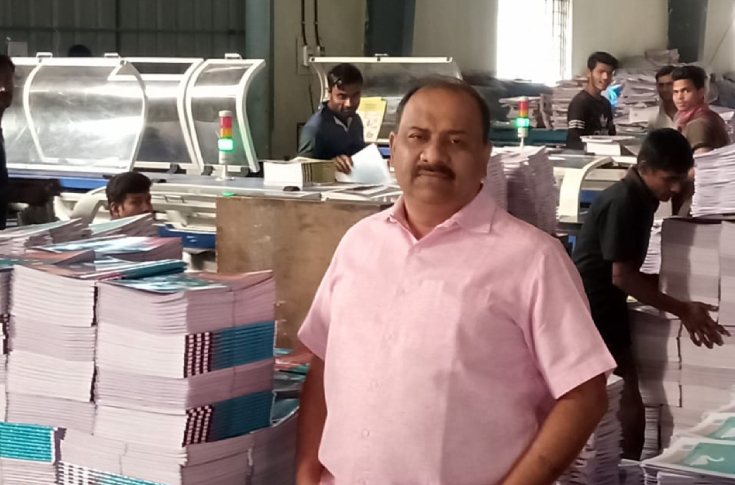 Operating from a 1-lakh sqft production floor in three shifts, Ganesh Printers produces government textbooks for Karnataka, Goa, Maharashtra, and Andhra Pradesh. Within three months since the installation, the new binders have delivered more than 10-lakh books each. “The new machines with a higher speed of 2,500 books per hour improve productivity and this is significant especially during peak season. But that’s not all, these machines are sturdy and reliable. What I particularly like about the WB@2500 is the moving CAM type cover nipping unit that produces squarely nipped books,” added Thorwat. 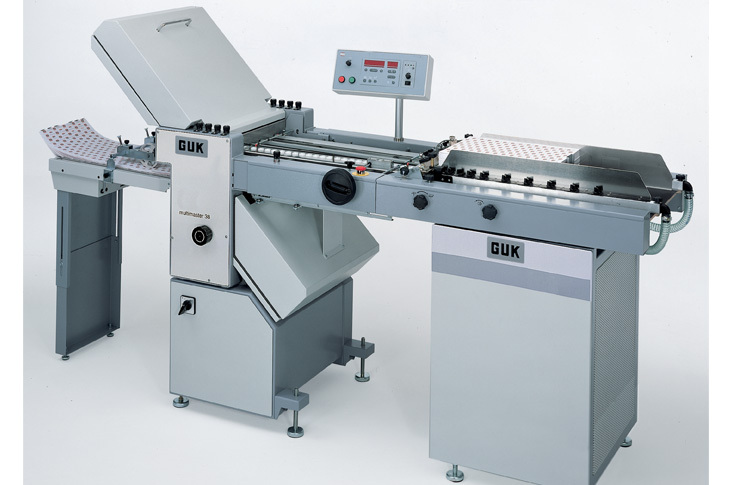 German specialist of paper folding machines, GUK will launch Multimaster 38 product information leaflet folders at Print Summit 2019 in Mumbai. Speaking to PrintWeek India, Friedrich Faulhaber, managing director, GUK-Vijuk-Sigma group, said, “The best in class miniature folding machine will be affordable and will have attractive return-on-investment.” While Faulhaber will not be present during the launch, GUK's India partner Impel-Welbound will release the specification and capabilities of this high-capacity miniature folding machine. Faulhaber said, “I will miss India and PS19, this time. I was here for the PS18 and enjoyed spending time with our customers as well as meeting the massive number of printers and suppliers at this major event." He added, "India is a one of our most important markets, and we have strong partners in form of Impel-Welbound who market and position our world-class products effectively and provide excellent after-sales support. The years 2017 and 2018 have been very good years globally, as well as in India, and we hope to continue the same in 2019.” Pallippuram Sajith, director of Impel-Welbound group, said, “There is a demand from the market to have an efficient equipment that can replace multiple old machines." The Multimaster 38, which will be manufactured in Germany, features fold pockets and deflectors, microprocessor-powered controller with counting function, and suction feeder PBA will come with vacuum pumps. It will come with four or six buckles in the first stage and four in the second. It will also be equipped with a GUK stacker to collect the leaflets. The Multimaster 38 is scheduled to start shipping from March 2019. 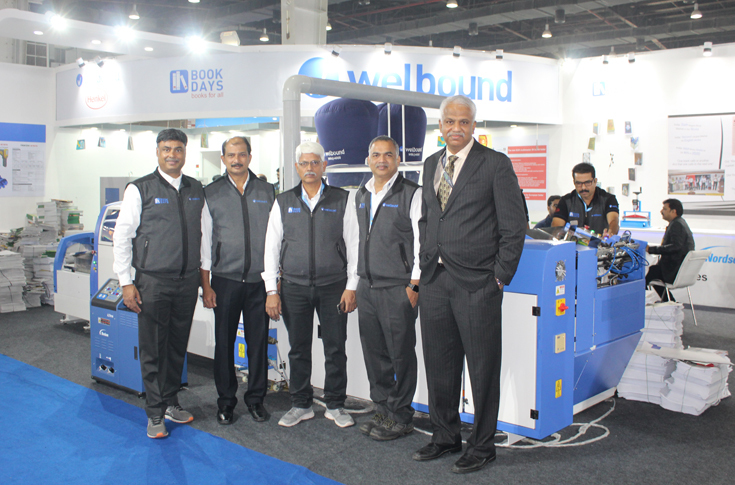 The Impel-Welbound team at PrintPack 2019 Rushikesh Aravkar catches up with Sajith Pallippuram of Impel-Welbound at the 14th edition of PrintPack India. What is the star product of Impel-Welbound stand? We are showcasing the WB@4000 12-clamp perfect binding machine. This is the first 12-clamp perfect binding machine manufactured at our Bengaluru facility. I would describe this machine as flexible and expandable. 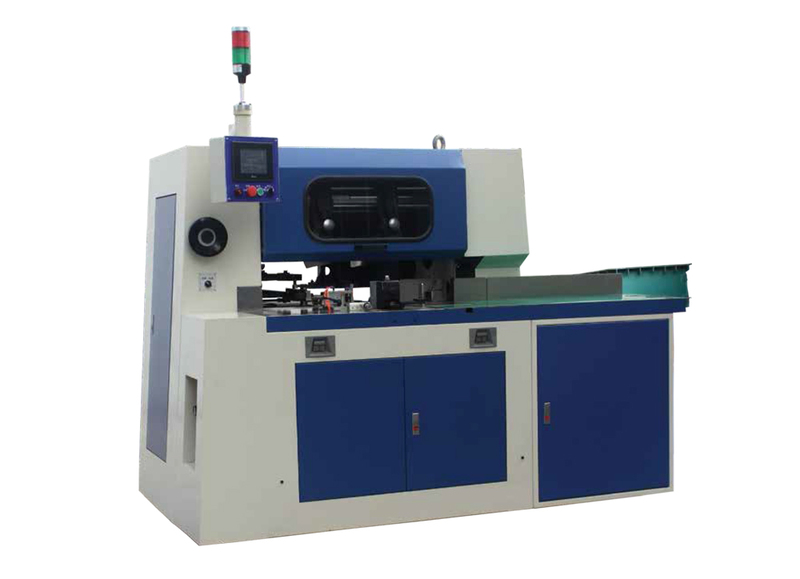 Flexible because, the user has the choice of using different gluing systems – cold glue, hotmelt EVA, new-generation ultra adhesive, and PUR. The different gluing systems require different set up. We have provided a system where one can switch from one gluing method to the other seamlessly. And expandable because? This machine can be coupled with our high-speed gatherer and also to an inline three-knife trimmer. How does this help the customer? The Welbound Technical Services team has been involved in installing and servicing several imported secondhand 12-clamp perfect binders. What we have observed is, when a user makes this switch from a six-clamp machine to an inline binder, there a steep learning curve. It involves understanding the signature, how they are processed in printing and binding stage — are the signatures kept under pressure, are they stacked. This is especially true when one is switching from manual gathering to inline automated gathering and inline binding. As a result, though the machines are equipped, the user is not able to derive the expected throughput out of these high-speed machines. Moreover, it also results in higher energy consumption and the wastage of consumables like adhesives. So, even if the secondhand machines are affordable, the price per book is pretty high. We have seen a series of our own customers who have invested in such machines in the past and have suffered in the process. So, the customers who are making this automation switch are looking to start with a high-speed binding machine that would allow books to be fed manually at the initial stage. And as they grow they are willing to add to the automation. That’s where the WB@4000 fits in. It produces 4,000 books per hour. It is a EPIC series of WB Impel-Welbound binding machines. EPIC stands for efficiency, productivity, intelligence and cost-effectiveness. Explain EPIC. How does one achieve efficiency, productivity, and cost-effectiveness? For these things to improve, one needs to have the information on what happens when you are running a book, or you are changing a book, or when a machine is not maintained, or when the machines are not cleaned properly. These kinds of things have impact on costs. We have put energy meters in the machines which gather information such as costs incurred when the machine starts consuming more energy because one is idling the machine or when one is not running the machine at a higher speed or because the knives are blunt or because the glue tank was not cleaned regularly. We have realised that we need to work with the book printers in order to have a continuous improvement of cost efficiency. The areas that we can look at are: one is machine, which will give you the throughput productivity and minimise wastage. How does this make the machine intelligent? The machine makes the information available to the user to act upon. It's a one way communication from the machine to the user in a readable format or to the user’s ERP. The information can be delivered in the form of an email or an SMS or you it can be downloaded in MS Excel format. This information can be used to figure out if anything is going wrong in the machine or to find to the root cause of a problem in the machine. It definitely can be used to improve efficiency and productivity. Does it also tell you if the quality of a book is good enough? An inspection system cannot work only by systems. It required expert people to use the available data to make inferences and make right decisions. With WTS programme, we are educating everyone who's involved in bookbinding to understand how to test a book, how to look at the things which can go wrong and also then trace it back to the root cause if something is incorrect. There’s no point in trying to make corrections at the end of the process. One needs to go trace the issue back to the planning stage and make amendments there because root cause can be in grain direction or folding or any intermediate process. There are methods of visual inspection, there are methods of testing a book, and then there also in-process inspection. At this exhibition, we are promoting the entire concept of testing your books well. This includes a page-pull tester, glue-level measurement devices, digital and analogue thermometers. We are also showcasing that with right adhesive in right quantity and right spine finishing can provide better quality and spending lower costs. This is an eye-opener for many customers who have visited our stand. The page-pull tester is the only way of measuring the strength of a binding. We have created this tool and we are selling it with our machines at a subsidised cost. This helps the customer will be able to give a number to the quality that he produces. The third important cost is adhesive. Our partnership with Henkel has been over 25 years now. It has allowed us to introduce the best of adhesives technologies that are adapted to the Indian scenarios. So they form a crucial partner in the process. With efficient machines and processes and services, the idea is to ensure that we are delivering the right quality at the lowest possible cost. Our aspiration is to help the entire supply chain bring down the cost of books. This cannot happen overnight. It needs change in the way people work. We will play that significant part of working with all the stakeholders in continuously reducing the cost and providing better books. How many installations of EPIC bookbinding machines? We have supplied 60 six-clamp WB@2500 machines. This also includes exports to Bangladesh and African countries. We have been able to meet aspirations of the customers with this new model in terms of 35% more productivity. We have made the temperature control digital so that it’s easy to use. Plus the nipping is able to handle up to 500gsm cover with accurate and adjustable creasing. The at-the-rate (@) symbol signifies that these machines are internet-ready, they are talking to you through emails. Is the bookbinding industry in India ready for smart automation? The biggest cost in bookbinding is labour. Moreover, signature gathering is a highly-skilled job. It is getting difficult to get skilled labour. So automation is inevitable. Smart automation with a human face is what we need. There are certain things that are better done by human hands so as to achieve good quality, probably at a lower cost than what it would be. 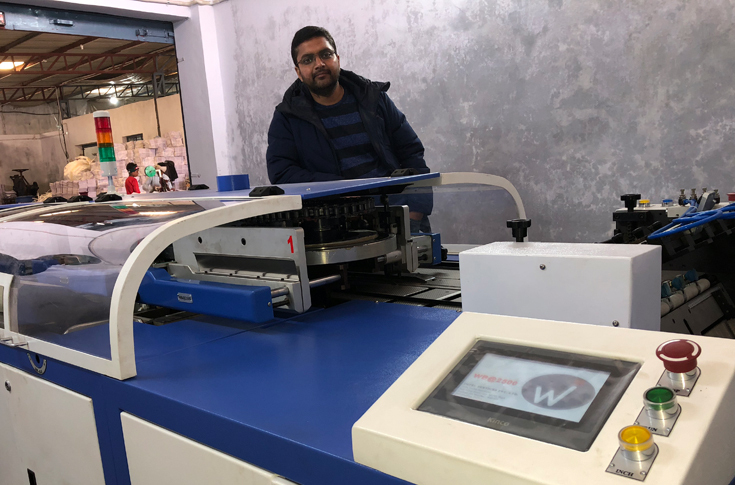 Gaurav Agrawal of G-tech Print Works Mathura-based G-tech Print Works has recently invested in a WB@2500, the new model of six-clamp binder from Welbound. According to Gaurav Agrawal of G-tech, the new investment has given the company the advantage of higher speed and better quality. Run by the father-son duo, Anil Kumar Agrawal and Gaurav Agrawal, G-tech Print Works prints government text books, NCERT books, guides and question banks, work books, etc. Its target customers include all government departments, PSUs, and publishing houses, with the state education department being its biggest customer. Working from two swanky units in aggregate 35,000-sqft covered area, Agrawal said the company’s USP is the fastest turnaround of books. In this, the new WB@2500 has been a great help. 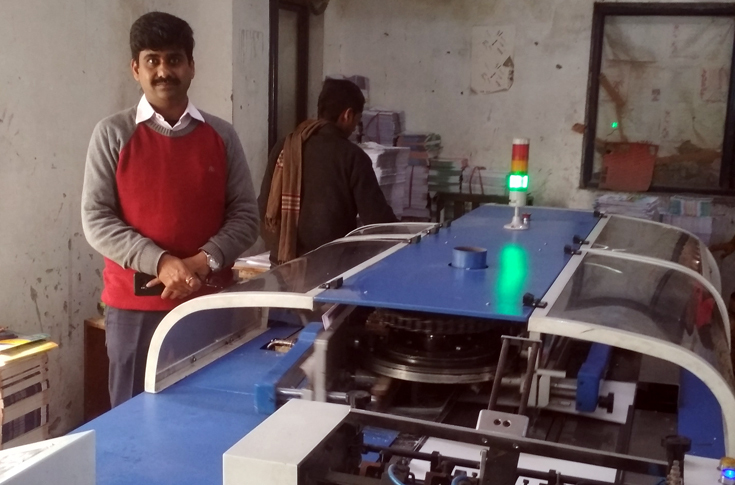 Agrawal said, “All our perfect binding jobs are done on six-clamp Welbound machines. The recently installed WB@2500 has given us advantages of higher speed and better quality. The machine also provides us detailed information on the daily production, which is very important while working in a highly competitive environment.” While Agrawal is proud of the works G-tech Print Works has done over the years, he said the company is especially proud of its association with the MP Text Book Corporation, Bhopal. In another big project, G-tech Print Works printed around 8.91 lakh copies of the book Seekhne Ke Pratifal for Sarva Siksha Abhiyan Uttarakhand for 2018-19. The company also supplied school books to Haryana state within a tight deadline of 45 days. Mathura is one of the largest textbook print production centres in the country. Textbooks of various state governments, be it north, east or west, get printed in this town. “As reliability of machines and prompt after-sales are of utmost importance to remain competitive, book printers in Mathura always rely on us. The father-son duo of Anil and Gaurav Agrawal has reputation for keeping deadlines while delivering quality,” Ramakant Singh, Impel-Welbound's regional manager for North India, said. 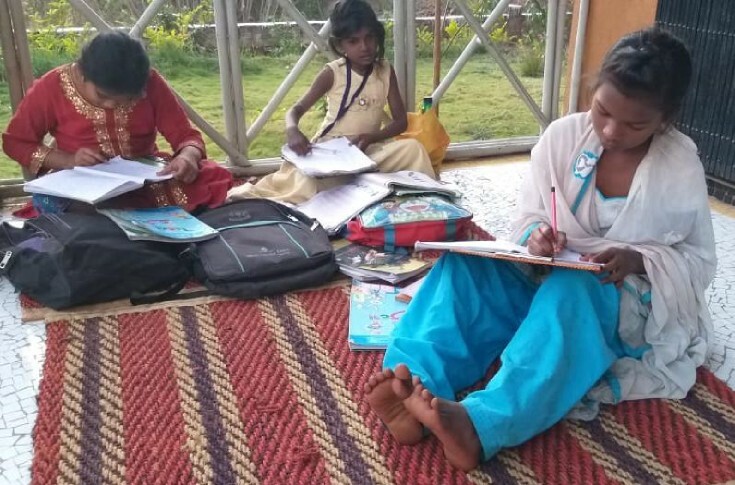 Anil Kumar, Impel-Welbound's national sales manager, added, “We are proud of our customers in Mathura, like G-tech Print Works, who produce textbooks for state governments cost-effectively and ‘in time’, so that our children can have affordable education. In the coming days, appropriately named ‘Book Days’, we will celebrate such achievements." Sanjay Goel of First Impression Noida-based First Impression Corp Services has recently installed the Welbound six-clamp WB@2500 binding machine. According to Sanjay Goel of First Impression, the reasons for investing in the machines were the specifications of the models and the company’s tech support. “WB@2500 is a great machine to have. It’s more productive, more capable and quite state-of-the art. In the last three months, we have already done more than 1 million books using the machine, and when the HMI of the machine announced this, I was proud that we bought this,” Goel said. Established in 1993, First Impression Corp Services is into educational books, coprorate brochures and exports, and targets national publishers with pan-India presence for books and multi-national corporates for their brochures and catalogues. With in-house pre-press to post-press under one roof, according to Goel, the USP of the company is quality production with fast turnaround and quick deliveries. “This makes us invest in brand new machines with reliable support from manufacturers, like we have done for Komori and Welbound,” he added. About Welbound, Goel is particularly impressed with its after-sales support. “What differentiates Impel-Welbound from many other suppliers is its after-sales support. Often, you hardly meet the sales executive once the sale is completed. In the case of Welbound, however, the sales executive remains the single point contact to get any requirements, in both services and technical support,” Goel said. Working in a 50,000-sqft covered space, the company has the production capacity of 50,000 to 60,000 books within 24 hours. 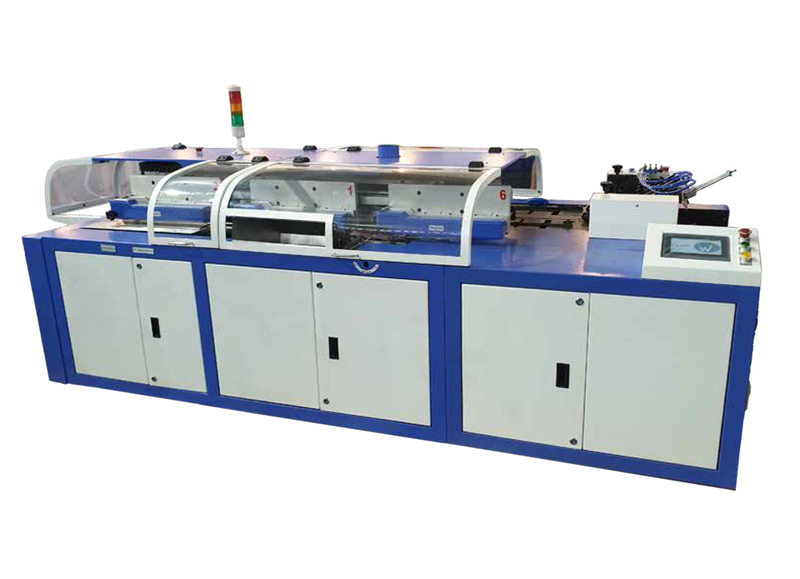 Explaining how the installation of WB@2500 has helped the company, Goel gives the example of a book with a 500-gsm board cover, with inline feeding and cover scoring. “This was not possible in the older model of binding machine that we have, a WB2000, and we thought we may have to manually place the cover. 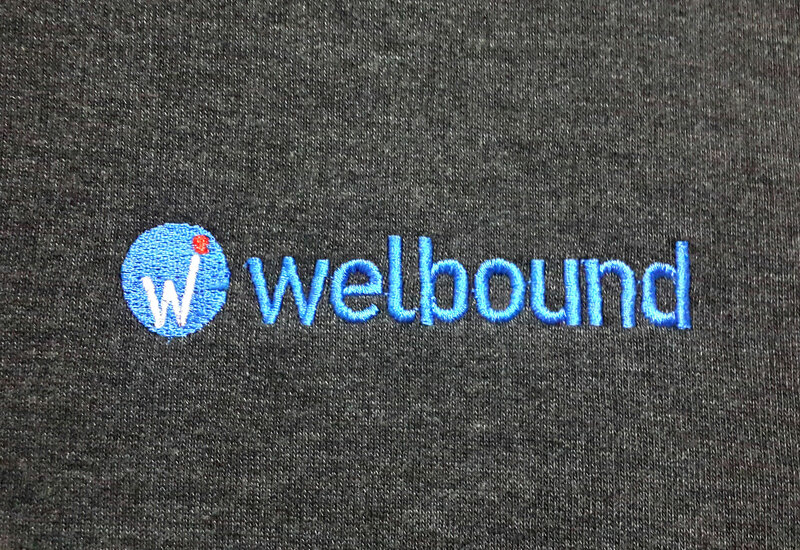 Then the Welbound team ensured us that this can be done using the new WB@2500,” he said. Among big volume jobs, the company has produced 1.5 lakh books for exports in a week, from printing to binding. It has also delivered 10,000 books in less than 24 hours, from printing to binding, to Goyal Brothers Prakashan. Top publishers in First Impression’s roaster include S Chand, Goyal Brothers and Rachna Sagar, among others. Corporate clients include Syska LED and DCM, among others. According to Anil Kumar, Impel-Welbound's national sales manager, First Impression always creates a great impression with its customers, be it for out-of-the-box thinking, near-impossible delivery periods or for desired quality standards. Sanjay Goel leads from the front and is always available for his customer's to address any of their requirements; and in-turn, we enjoy working with a customer who will challenge our notions and help us stretch our limits,” he added.